Go to websites -> edit website and enter the domain you want your primary domain to link to. 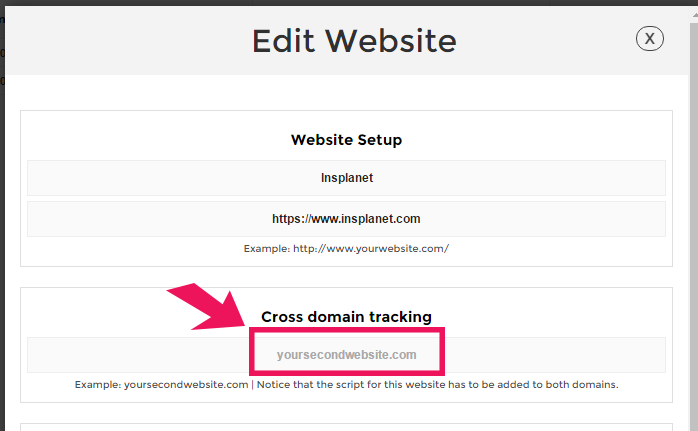 Notice that you must add the script to both domains. This feature is only for tracking, and testing different variations on domain B. When cross domain is activated from edit website we send a information to our server about the visitor. The key is the fingerprint combined with ip adress (anonymized) which is saved for 24 hours. 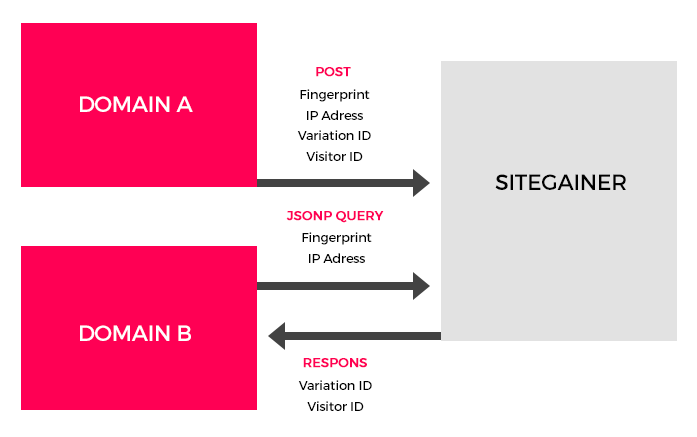 When the visitor goes to the second domain which should also have the same script tag we ask our server for a match which returns visitor ID and variation ID for each project within that website ID that has been visited for the last 24 hours. Full list of installed fonts (maintaining their order, which increases the entropy), implemented with Flash.